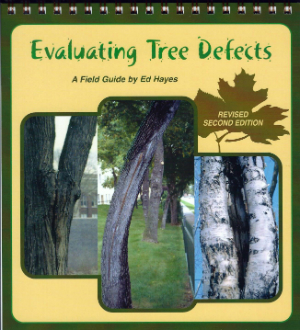 Evaluating Tree Defects field guide - tree defects, tree decay. Now revised and updated in 2014: "Revised Second Edition"
Online: thru the link to Pay Pal below you may order up to 49 copies, for customers in the US. For 50 or more copies or for orders outside the US, contact us for the order. 50+ Contact us for details. By phone or invoice: Email, ehayes@safetrees.com or call 507-319-7149.